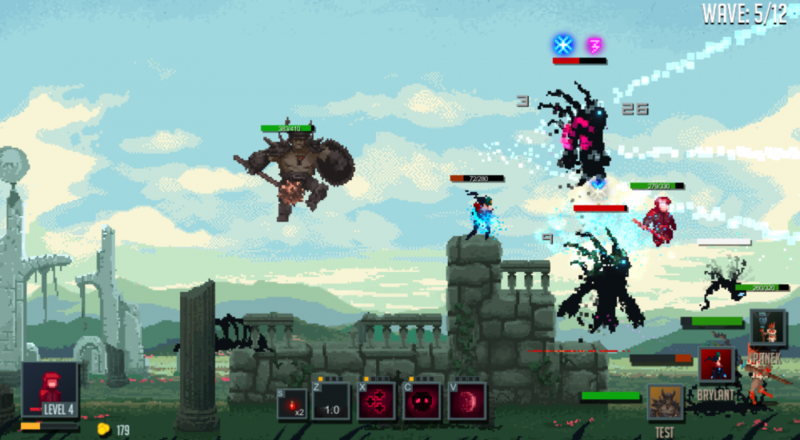 Not long after a successful Kickstarter funding, the action brawler Warlocks has made its way to Steam's Early Access program. If you've ever wanted to be a powerful warlock who does nothing but slay nasty monsters from other dimensions, this is your chance. You even get to kill stuff with friends... magically! Warlocks takes everything to the extreme. Generic story? Check. Insane enemies? Check. Over the top spells, attacks and characters? You know it. Developer Frozen District wanted to make sure we didn't take Warlocks too seriously. At its core, the game is about slaying monsters, collecting loot, exploring multiple dimensions, and doing all of the above with some friends. You're not really saving the world, but you knew that, didn't you? Each procedurally-generated area in Warlocks tosses enemies at you in groups, leaving you to survive based solely on your own reflexes. Foes have their own unique attacks and patterns you'll have to learn to exploit. The good news is your own abilities level up and you get to toy around with skill trees while you play. There are even new warlocks to unlock as you progress through the story. Page created in 0.5424 seconds.